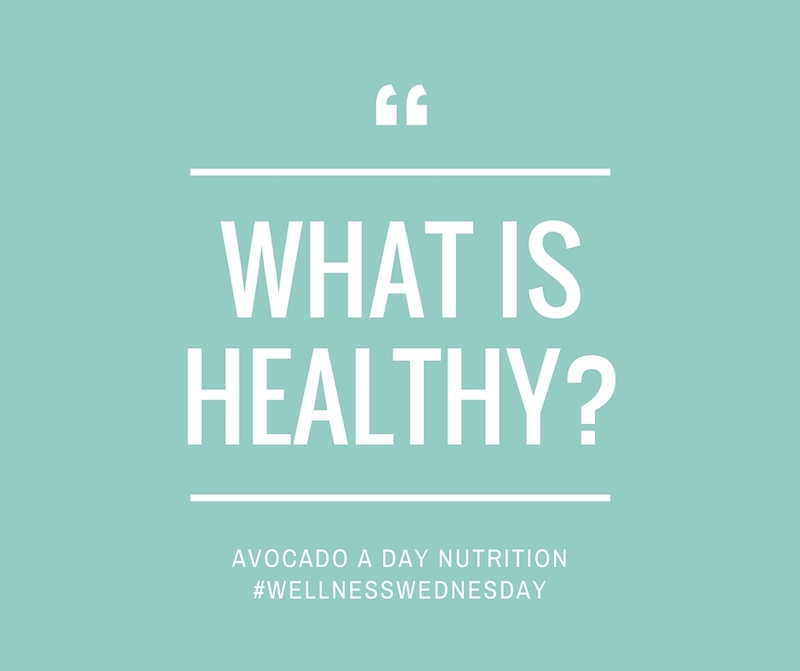 Wellness Wednesday: What is Healthy? Healthy is a word that gets thrown around, to the point where it's almost meaningless. 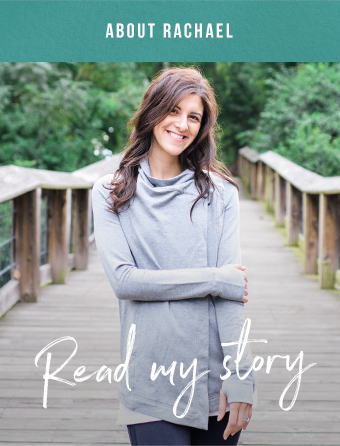 Todays Wellness Wednesday post answers the question what is healthy, and what it means to me. Have I told you guys about my nutrition counseling mastermind group? Every other Thursday, I google chat with a group of dietitians who also do nutrition counseling and blog: Anne, Alex, Robyn, and Kylie. We all work in the disordered eating/intuitive eating realm, so it's a great place to brainstorm, share and learn. Have you ever had a group of people where every time you get together, you leave feeling inspired, supported and basically ready to win at life? That's how it is with this crew. They're essentially my Taylor Swift RD girl squad...except in that metaphor, I think I'm Hailee Steinfeld, because they’re all pretty big deals. From what I can gather from instagram, we all have very different eating habits. Alex needs a tofu intervention, Robyn really likes dipping dark chocolate into things, Anne would starve without Blue Apron, and Kylie likes to make food love children (quichezzza aka quiche-pizza, french toast-avocado toast...). Yet, we all have the same basic food principles. Food is meant to be savored. Dieting and deprivation is the actual worst. Eat food that makes you feel awesome. A few weeks ago, Anne emailed an article on a new study that examined how people eat in response to various descriptors, including healthy, unhealthy and nourishing. It found that after eating a cookie labeled as healthy, participants reported being more hungry than eating the same cookie when it was labeled unhealthy. They also found that people ate significantly more popcorn after being told it was healthy than when it was labeled nourishing or unhealthy. So basically, you'll probably feel hungrier and eat more if you think what you're eating is healthy, regardless of how 'healthy' it actually is. This prompted a discussion, since we're all conflicted on the word. On one hand, well, see above. Calling a food healthy often triggers unhealthy eating behaviors. Sure, my cinnamon spice cookies, made with almond meal, naturally sweetened with raisin paste, and packed with healthy (<--there it is again!) fats from coconut oil and nut butter certainly qualify to most as healthy, but if labeling them as such triggers binge eating half the pan, are they still healthy? On the other hand, as bloggers, the word healthy is helpful for google rankings and helps the people who need us most to find us. People don't search for "whole grain cookies made with just a little bit sugar and coconut oil instead of butter", they search for "healthy cookies". Healthy is a word most people get. To healthy, or not to healthy. That is the question. That's when Kylie chimed. "I think it's worth us trying to redefine the world healthy. Not using the word healthy doesn't help anyone. People have to reframe their opinions of what healthy is." She is so right. When the world healthy is used around food, most people interpret it to mean nutrient-dense/real food/low fat/low carb/high protein/paleo/gluten free/sugar free or whatever their particular spin is. But true "healthy" has only a little to do with food itself. It has to do with behaviors. So yes, I will continue to describe food as healthy from time to time, just to appease the google gods. When I describe a food as healthy, I mean to say it's nutritious, but that’s just part of health, not all of it. Part of healthy is eating lots of nutrient-rich foods, like fruits, vegetables, beans, and whole grains. This is a big part, but much smaller than what most people think. Healthy is not basing your self worth on food choices, considering yourself 'good' when you've eaten a certain way or 'bad' when you don't. Healthy is moving your body semi-regularly (to your ability, not with the goal of burning calories, paying penance for eating 'bad' or to build an unrealistic physique, but because moving your body makes you feel awesome, gives you energy, or helps you reach a goal, like running a 5K. Healthy is being able to find pleasure in food, but also being ok with not every meal being a gourmet eating experience. Healthy is getting enough sleep, prioritizing self care, connecting with those you love and nourishing your soul as much as you nourish your body. Healthy is also going through times when you're sleep deprived, don't have time to devote to the people you love, and feel empty inside. But you recognize it, accept it, and take steps (within your ability) to correct it, or give yourself some compassion for the things you can’t change. Healthy is aiming to eat mindfully, but also recognizing that living a full life means scarfing down a fast food meal in your car on occasion, and that's OK. Healthy is being able to stop eating when you feel satisfied and satiated. When you know restriction isn't in your future, it's easy to eat the right amount for you without thinking about portions or calories. Healthy being able to cope with emotions without food, but also recognizing that there are times when you've had a really bad day, and dammit, an ice cream cone WILL make you feel better. Healthy is accepting your body, as it is. Or at least trying to accept it as it is - everyone has days when they don't like what they see in the mirror. It’s being realistic about your genetic blueprint, and trying to accept yourself in your here-and-now body. Now, I'd love to hear from you. What does healthy mean in your book? If you had to define it, what would you say?